Q-Sense takes pride in the extensive range of high quality sensors developed and produced in our world class in-house facilities. When you buy Q-Sensors they are quality tested to ensure reliability and quality guaranteed for QCM-D studies. All this so you can get the most out of your time spent planning and executing experiments. 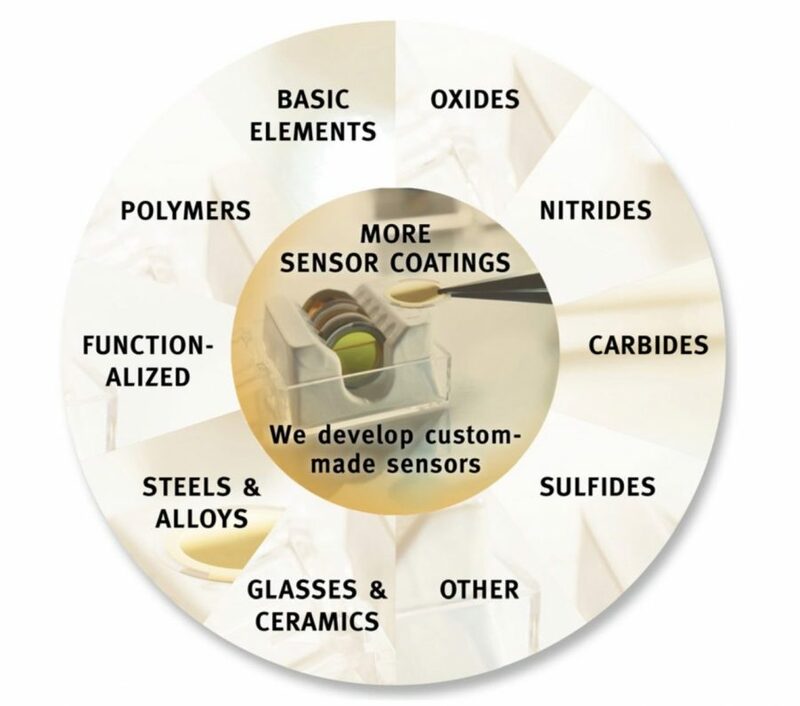 Q-Sense standard collection of Q-Sensors contains a wide range of materials such as basic elements, polymers, steels and functional surfaces and much more to accommodate the many different customer needs. Customers are found in research ranging from molecular and medical sciences, to environmental sciences, oil and gas and detergent and cleaning research. 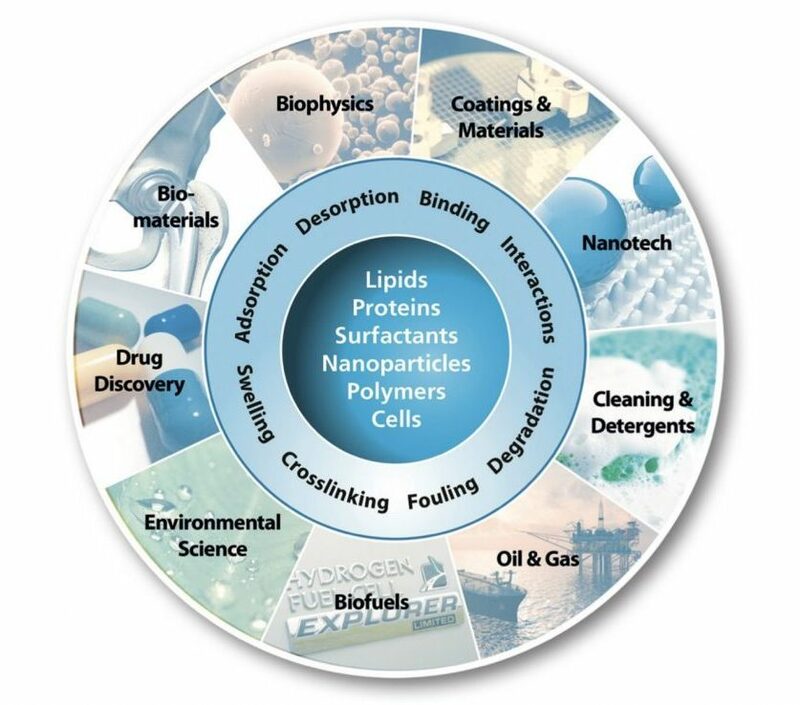 Explore the list of coating materials to discover your research possibilities. Oxides Silicon dioxide, rough Silicon dioxide, aluminium oxide, Iron oxides, Zirconium Silver oxide, Magnesium oxide, titanium dioxide, Indium-tin oxide. Other Hydroxyapatite, au with ti-adhesion, cellulose, aluminum silicate, Barium titanate, calcium phosphate, aluminum silicate, rough Gold, calcium carbonate. * Please note: New coatings are regularly added, contact us for more information.